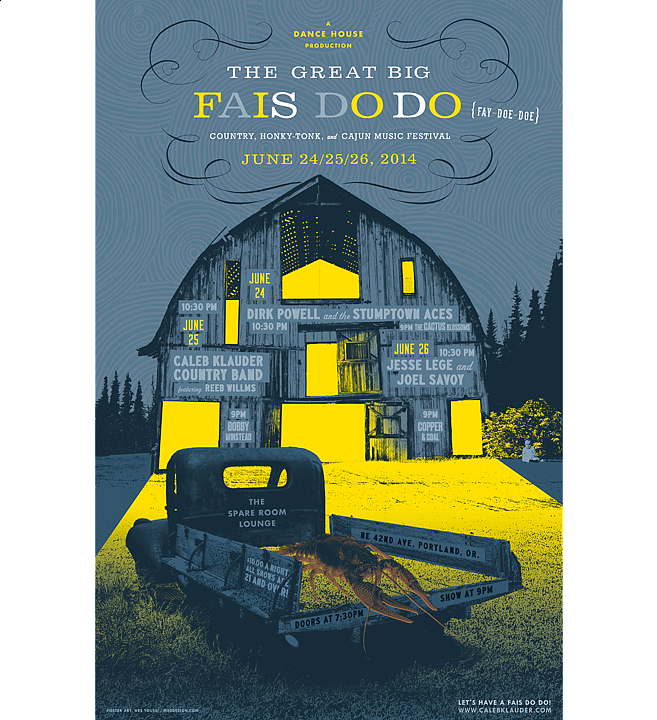 This last June marked the first Fais Do Do music event held at the Spare Room. Cajun and Country in theme, the show consisted of traditional bands from Oregon, Minnesota, and Louisiana. The poster design and artwork followed the lead from the origins of the Fais Do Do which means, "go to sleep" in Cajun. History of the Fais Do Do says that they were social gatherings centered around food, music, and dance. As the party progressed into the night, women would whisper "Fais Do Do" to their babies with the hope of quickly rocking them to sleep. As soon as the babies fell asleep, the women could get back on the dance floor and keep their husbands from dancing with other ladies.